Heading skyward with methane, the main component of natural gas and a greenhouse gas that contributes to global warming, are royalties some say the oil and gas industry could be paying New Mexico. An April report from Taxpayers for Common Sense, a national budget and taxpayer advocate, analyzed federal leases through the Office of Natural Resource Revenue and estimated that the gas lost nationwide on federal lands in 2016 was worth $75.5 million. Half of the gas lost between 2012 and 2016 came from New Mexico. U.S. Reps. Michelle Lujan Grisham and Steve Pearce will bring a fight over regulating methane home during this year’s gubernatorial election, where environmentalists and the oil and gas industry regularly tussle over the use of New Mexico’s natural resources. The two have already faced off in Congress over how to decrease methane emissions, illustrating differing world views and offering a glimpse into how they might govern if elected. Pearce appears, like fellow Republican Gov. Susana Martinez, to look skeptically at government regulation. Lujan Grisham seems more apt to embrace government oversight. New Mexico Oil and Gas Association Director Ryan Flynn last fall described Martinez as a crucial “backstop” to legislative efforts to apply rules to his industry, a backstop that might disappear depending on who wins the governor’s mansion. Flynn’s remarks hint at the reasons for the oil and gas industry’s significant political spending this year, with key statewide seats important to the industry up for grabs. Campaign records show the industry favors Pearce, who built a successful oilfield services business and has diligently worked in Congress to minimize regulations and streamline federal oil and gas permitting processes. “The oil and gas boom has given the state tremendous opportunity, and it will be incumbent on the next governor to make sure that opportunity continues,” said NMOGA spokesperson Robert McIntyre in an interview. On the flip side, environmental groups are hoping to end, in part, a deregulation agenda by Martinez that many say has gone too far. “After the last 7.5 years of running as fast as they can to do away with so many of these bedrock rules, and now with this boom happening in the Permian, there’s really a lot of pent-up need to get adequate protections in place,” said Jon Goldstein, who worked for the New Mexico Energy, Minerals and Natural Resources Department under Gov. Bill Richardson. He’s now director of regulatory and legislative affairs for the Environmental Defense Fund. Both the Environmental Protection Agency and the Bureau of Land Management issued rules to curtail methane emissions during the Obama administration. The EPA’s rule invokes the Clean Air Act to require producers to capture methane and volatile organic compounds. It applies to new or modified oil and gas facilities. The BLM’s rule argues that failing to capture methane wastes federal resources and that the Mineral Leasing Act allows the agency to require new and existing wells to limit methane releases. But oil and gas leaders insist the rules are unnecessary and that the expense of implementing them could compel oil and gas producers to shut down wells. They have friends in high places these days. The Trump administration has moved quickly to suspend and rewrite the rules, part of President Trump’s larger deregulation agenda. The Brookings Institute has created a tracker for monitoring a selection of federal delayed, repealed, and new rules, notable guidance and policy revocations, and important court battles across eight major categories, including environmental, health, labor, and more. That agenda at the federal level pushes to states the question of how or whether to create rules requiring companies to capture methane emissions. Any look at what new rule-making might happen under a Democratic governor should start with what happened under Martinez, said Goldstein. Indeed, in a rather dramatic move, the governor’s first official act back in January 2011 was to issue an executive order targeting regulations. Martinez ordered departments and agencies to review and identify any rules that “could significantly enhance the business environment in New Mexico” if they were to be rescinded or revised. That same order also created a “small-business friendly task force” that included a wide swath of industry representatives, among others, who within months made a laundry list of recommendations for how to revise or simply eliminate regulations. In particular, she targeted a regulatory program put into place in the waning months of the Richardson administration meant to reduce greenhouse emissions that contribute to climate change. Martinez referred to the program as “cap and tax” during her campaign and the State of the State. The pit rule she took aim at had been finalized in 2008 under Richardson. It was drafted in answer to nearly 7,000 cases the Oil Conservation Division recorded over two decades in which the waste pits that catch heavy metals and toxic chemicals from oil and gas operations had contaminated soil and water. The rule prohibited using pits unless the waste they held met groundwater standards. It also required pits to be 500 to 1,000 feet from homes, schools, and water sources. Some operations would have to run a closed-loop system using steel tanks instead of lined pits in the ground. Industry groups complained about the expense and restriction of those regulations, and in 2013, the Energy, Minerals and Natural Resources Department’s Oil Conservation Division relaxed the rules. Setbacks were reduced to 100 feet from significant watercourses and “temporary pits,” which can be in place for years, for multiple wells were allowed. Where the previous draft had required site-specific tests for groundwater, the revisions allowed for less precise measurements. For further evidence of the deregulatory trend, the Environmental Law Center’s Doug Meikeljohn points to the Oil and Gas Accountability Project’s 2011 fight with the Oil Conservation Division to require oil and gas companies to disclose what chemicals they use for fracking. The division agreed with the need for disclosure, but doesn’t require it for 45 days after fracking, “which, of course, is pretty much useless,” Meikeljohn said. San Juan Basin oil and gas facility. 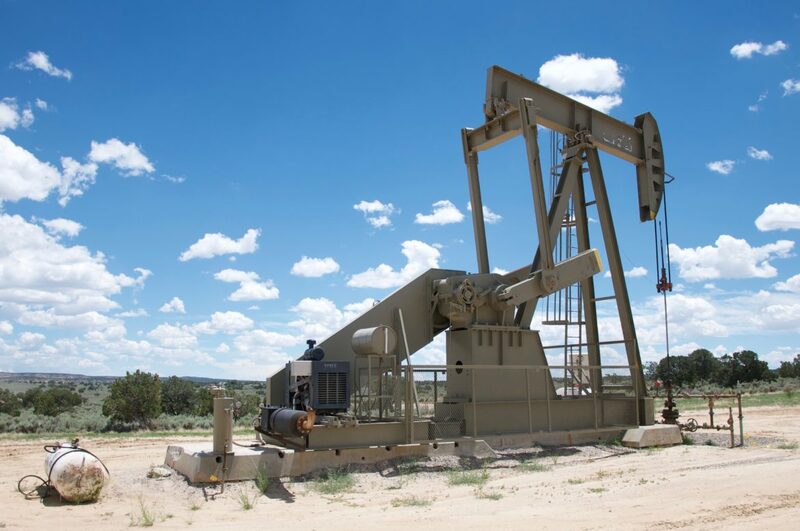 McIntyre, of the oil and gas association, attributes the oil and gas boom currently benefiting New Mexico’s coffers, in part, to Martinez “streamlining” of regulations, along with the combined forces of the state’s geology and the price of oil. 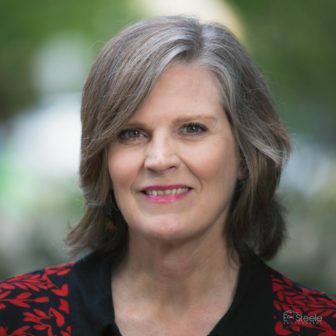 “The governor has appointed responsible, business-minded Cabinet secretaries that focus on efficiency and optimization within their own departments, and that make sure producers aren’t unnecessarily burdened with exceedingly difficult permitting processes or arbitrary rules that don’t satisfy a particular need,” McIntyre said. After relatively flat development for 30 years, industry interest in New Mexico started to climb after Martinez took office 2011. Things really took off when a federal ban on exporting oil was lifted in 2016, McIntyre said. As of mid-May, Baker Hughes, which issues a weekly count of active drilling rigs as an industry barometer, reported that in a year, the number of rigs drilling or exploring for oil and gas in the state had climbed to 89 from 55. That’s a significant jump, but even more dramatic is the step up from May 2016, when 18 rigs were operating in New Mexico. “Our business climate, for now, has been favorable, so that’s why we’re seeing so much investment and such a huge uptick in activity,” McIntyre said. Flynn comes to his job at the oil and gas association after serving as environment secretary under Martinez. During an annual speech to the group’s members last fall, a recording of which has been leaked to the media, Flynn cautioned that the coming year could see that climate shift. 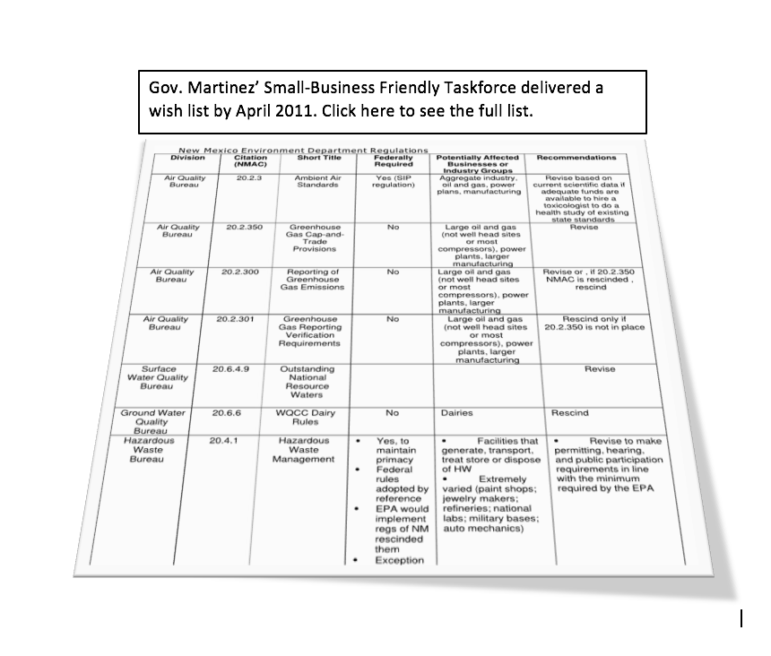 With the pending gubernatorial election comes regulatory and political uncertainty. He named that uncertainty among the greatest challenges facing the industry, as well as the “activist machine” at work. The opposition has become a political force, he said, routinely flooding the inboxes of legislators, packing meetings in conservative counties, recruiting candidates, and spending money on elections. But he’d made a promise when he took the job that the association would once again become the most powerful organization in the state. The regulatory push and pull comes into sharp focus over methane. Both sides say their approach has the best interest of the state, and its coffers, in mind. Lost methane correlates to lost natural gas. The Environmental Defense Fund estimates New Mexico taxpayers lose as much as $27.6 million in taxes and royalty revenues per year due to the amount of gas vented, flared or leaked. Industry advocates argue no one wants to lose that revenue — it’s money the industry could make as well, so they take every measure to capture that gas. Lujan Grisham and Pearce locked horns in Congress when Pearce introduced a couple of amendments last September to the fiscal year 2018 federal spending bill that withheld funds from the Bureau of Land Management to implement methane regulation. The methane rule would shut down small producers who operate “stripper wells,” he argued on the House floor, and devastate New Mexico’s economy. Rep. Steve Pearce discussing his amendments to the 2018 spending bill. Stripper wells are wells toward the end of their productive life spans with tight profit margins, he said, often run by smaller local companies. A better solution, he said, would see the BLM working with Congress to permit pipelines to move methane offsite, reducing the need for flares. And already, methane emissions have declined, he said, while production has increased, an achievement attributed to technological advancements the BLM’s regulations would cripple. “Supporters argue this regulation is necessary to ensure taxpayers receive their fair share from the production of oil and gas, but there’s no justifiable proof to this claim,” his op-ed continued. Lujan Grisham is in that camp, equating lost methane to lost tax and royalty revenue. She took to the House floor to oppose Pearce’s amendment. Just the day before, she said, the House passed a $7.9 billion down-payment for Hurricane Harvey recovery, and yet was considering a law that would make it harder to curb the climate change to blame for that storm, one of the costliest on record. She also said methane leakage costs New Mexico money. Rep. Michelle Lujan Grisham speaking against the Pearce amendments. “Not only is methane a powerful greenhouse gas, but every cubic foot of gas that is wasted into the atmosphere cheats hard working New Mexican taxpayers out of precious royalty and tax payments which go toward public education, infrastructure, and community development programs,” she said. Neither Lujan Grisham or Pearce agreed to an interview for this story by publication date. 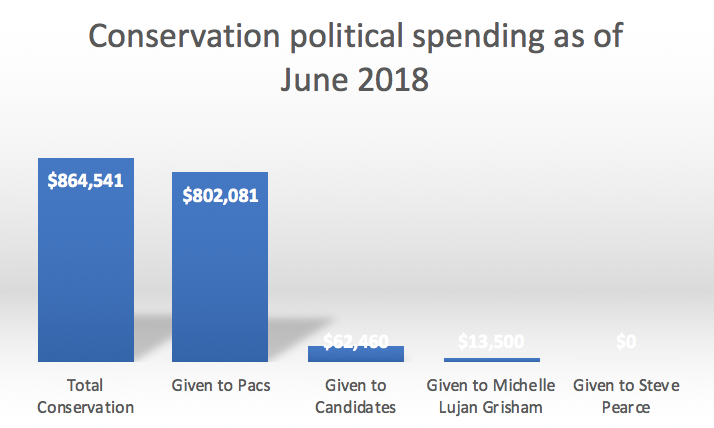 The divergent perspectives of Lujan Grisham and Pearce point to one reason that the oil and gas industry and conservationists are spending significantly in this year’s election. Big money dumped into the state primary races at the 11th hour came from these constituencies, directed in part at elections for the Public Regulation Commission and the State Land commissioner, the official in charge of leasing public lands. 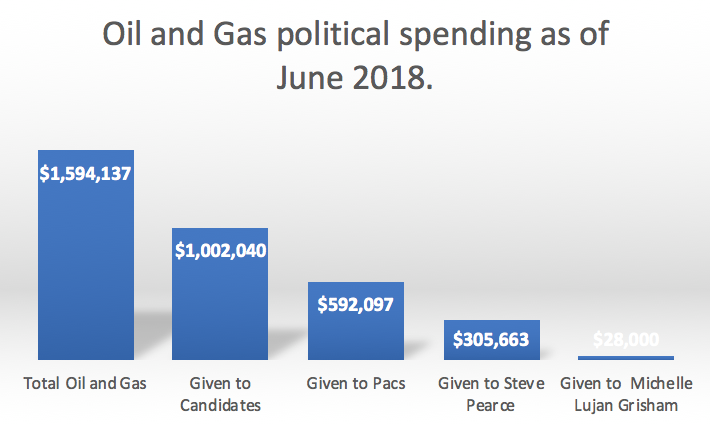 Pivoting to the general, the governorship is the big prize, and campaign records show that Pearce is the clear favorite of the oil and gas industry. Comparing the spending of conservation groups with oil and gas companies is apples and oranges. A review of campaign records doesn’t show conservation groups giving as freely to candidates, most likely because they’re organized as nonprofit or political action committees, rather than for-profit companies. Instead, their political spending is concentrated in political committees. The question of how or whether to regulate often comes down to arguments about whether industries can regulate themselves. Some companies have launched voluntary programs for reducing methane, including XTO, the drilling arm of ExxonMobil, and BP, which works on natural gas production in northern New Mexico. Critics of that approach caution that these programs lack specific mandates. “If they’re willing to do it voluntarily, just make a law,” said Sharon Wilson, who has filmed emissions from wells in the Permian Basin with a thermal imaging camera. Wilson works with the Earthworks Oil and Gas Accountability Project, a nonprofit industry watchdog that campaigns for stronger environmental and landowner protections. She said the Permian Basin is among the worst she’s seen in 13 states visited. While there, she filmed a facility near Carlsbad where a flare went out, so instead of burning, the methane and accompanying volatile organic compounds vented into the air for more than 24 hours, drifting toward nearby houses. There’s technology now to detect when a flare goes out and reignite it, but the company wasn’t making use of it, she says — evidence that voluntary compliance does little. Oil and gas industry advocates counter that regulation could prove so expensive that some well operators will simply close up marginally profitable wells. 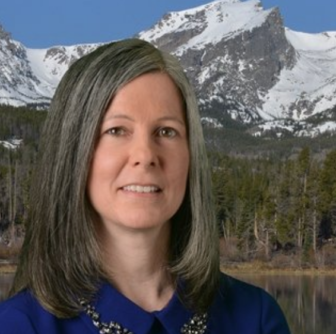 “That’s a waste of resources that would otherwise be produced, and that wasted resource would overwhelm, from an economic standpoint, the amount you would garner from capturing small amounts of methane,” said Kathleen Sgamma, president of Western Energy Alliance, which represents more than 300 oil and gas production companies in the West. “It can actually cause less revenue overall from the oil and gas industry that goes into the state coffers,” she adds. Both sides point to Colorado, which finalized methane rules in 2014, as an example. “Colorado has proven that the industry can follow these rules and still thrive,” said Wilson, of Earthworks. Colorado’s rules require oil and gas companies to monitor for “fugitive emissions” and fix them within 30 days. In 2015, the state reported finding and fixing 36,000 leaks. The rules served as a template for the EPA, according to the state, which joined Earthworks and the Environmental Defense Fund in a lawsuit against EPA Administrator Scott Pruitt for suspending those regulations. The other side sees Colorado’s rule as an example of what not to do. Kathleen Sgamma of Western Energy Alliance. The state requires physically checking for leaks, she said, when drones could fly over and survey more sites faster and at less cost to the industry. McIntyre adds that gubernatorial candidates in New Mexico should understand the work already underway to reduce methane emissions. He and Pearce both say that since 1990, production has increased by 47 percent while methane emissions from natural gas have decreased by 21 percent. That’s a bit high, based on numbers from the U.S. Environmental Protection Agency, which pegs that decline at 16.2 percent. Environmentalists caution that number misses smaller, persistent emissions and may under-represent the problem. Additionally, a study led by University of Michigan, University of Colorado, and NOAA climate and environmental scientists pinpointed the source for the San Juan Basin’s methane cloud to its oil and gas production, and their research indicated emissions had not declined. “Maybe things have gotten better and things have started to improve over time, and that’s great, but we’ve still got a problem there — we can see it from space — so there’s still more to be done,” Goldstein said. 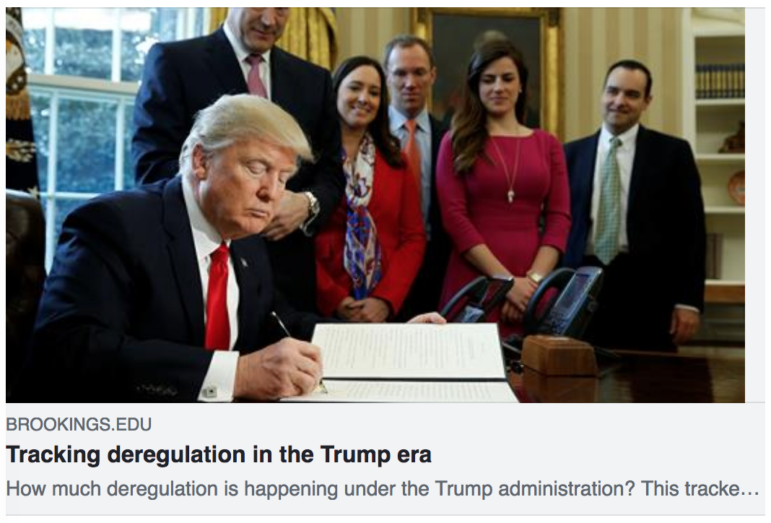 In the long term, he adds, what may do the most to slow the industry isn’t what regulations it has to work with, but ongoing changes to them. “What most sensible oil and gas developers want is a stable regulatory environment — one that isn’t flipping back and forth with every election,” he said. When Flynn spoke to his annual meeting attendees, he cautioned that groups like the Environmental Defense Fund might use methane as a wedge issue during this gubernatorial campaign. But he held out hope that the industry could sway public opinion by staying on message about work done to reduce emissions, create jobs and pay taxes that support schools. New Mexico In Depth’s Marjorie Childress produced campaign data for this report. See our methodology for the numbers here. The plane had wheeled back north toward the airport when the Carlsbad Caverns National Park Visitor Center came into view, perched on the tan heaps of a sloping escarpment that offers no clue to the dramatically sculpted caverns beneath. From the air, however, signs of another underground natural resource were plainly visible: well pads pock the horizon.